We all agree that we are online “all the time”. But wouldn’t it be awesome to know how many websites exactly we visit each day? Wonder no longer. Let’s find out with Vivaldi’s History feature! 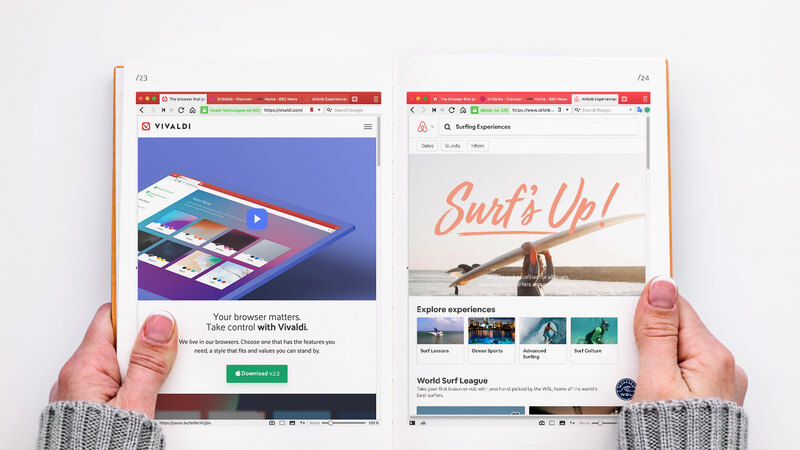 Broadly speaking, you can use Vivaldi’s History in two ways. You could go to it to find again that interesting page you stumbled upon earlier. Or you could keep an eye on the stats that it offers. That’s right, Vivaldi gives you the aggregated statistics of your browsing. It offers a complete new perspective, revealing browsing patterns and behavior. It can be an eye-opener. 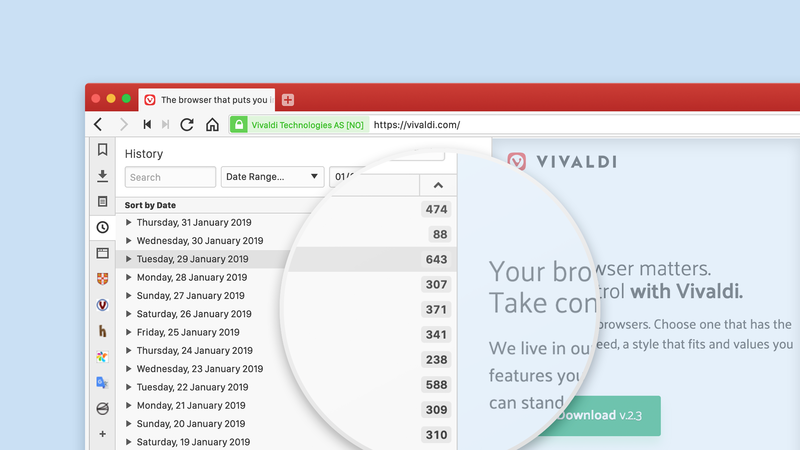 In this, Vivaldi is different from other browsers where your browsing history is usually hidden deep in the UI, and offers nothing more than a flat list to search through. What’s more, in Vivaldi you are not limited to a single way of viewing the data. You can tailor it to your preferences and needs. How many website do you visit per day? So how can you find out how many website you visit each day? Easy. Once there, display the stats per “Day”, “Week” or Month”. Under “Browsing Activity” you’ll see the numbers for “Page Views” and “Pages”. Page Views will always be a bigger number than Pages as you’ll probably be viewing the same page more than once. 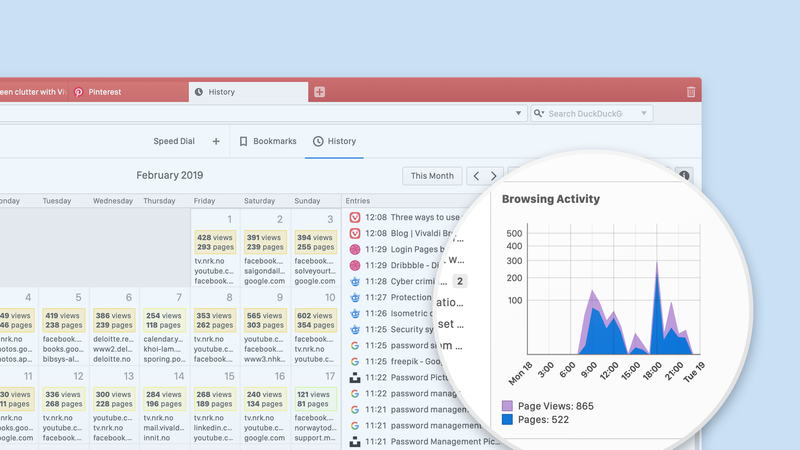 In the Calendar (“Month”) view, select any day or a range, and see how your stats for “Page Views” and “Pages” change in “Browsing Activity”. Access stats for each day through the History heat map (top left of History, to the left of the Search field). Click on any day (e.g. you might be curious how much more you browsed on a day that appears darker) and see the stats change in “Browsing Activity”. Access “Page Views” quickly in the History Panel. This panel gives you a convenient access to your browsing history and some browsing stats. You can dive even deeper in the History stats. Take a look for instance at the “Top Domains” listed at the bottom right of the History screen. The domains will change according to the time range you select. Maybe you’ll spot some surprising trends there? You guessed right. 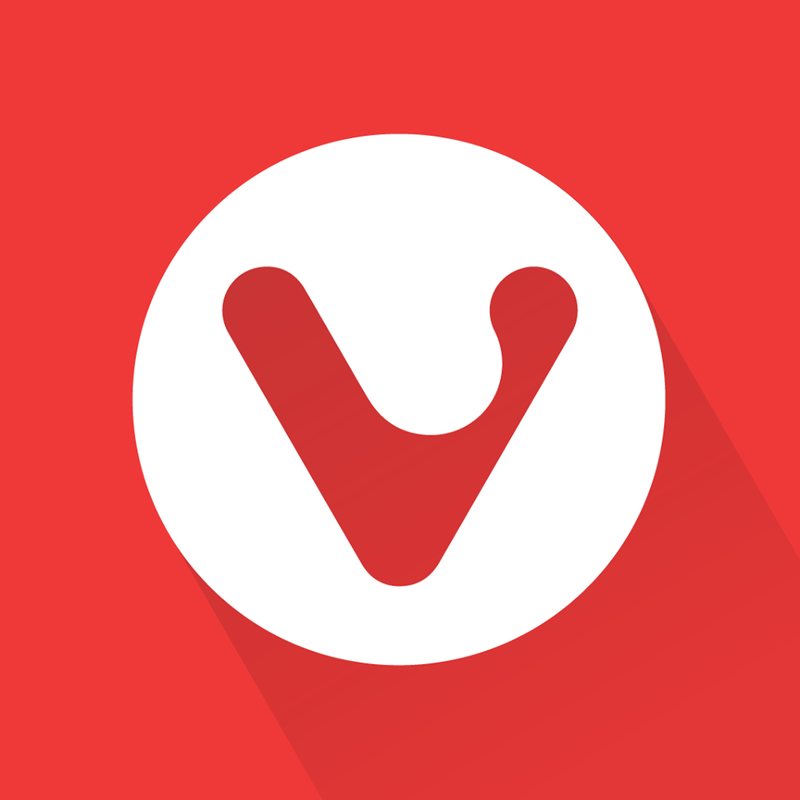 Vivaldi doesn’t collect any of your history data. This information is strictly private and local to your computer. However, you get to see what kind of data could be tracked by third parties. Maybe you want to adjust your online behavior or remove certain items from the list? How many webpages did you visit yesterday? Read more about how the History feature was made.